Implant Prosthodontics and Occlusion for Implantology - Vancouver is organized by The Institute for Dental Excellence (T.I.D.E.) and will be held from Apr 21 - 23, 2019 at Vancouver, British Columbia, Canada. 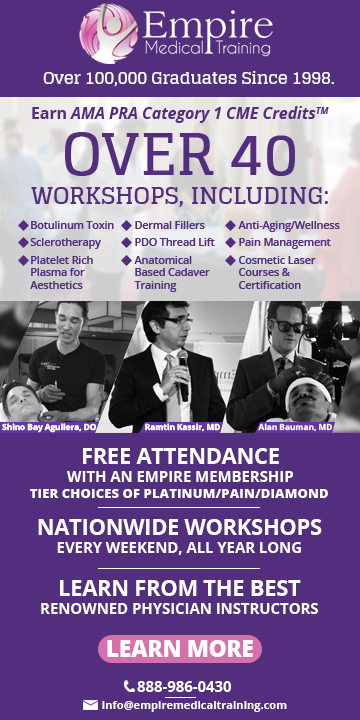 The target audience for this medical event is Prosthodontists. This CME Conference has been approved for a maximum of 21 CE credits. Module 5 -The final treatment goals for implant dentistry is to replace or simulate the natural dentition with an artificial implant prosthesis. Our patients desire the benefits of teeth with esthetic, phonetics, masticatory function, comfort and contour. These cases, especially full mouth reconstructions, with implant retained prosthesis can be challenging and time consuming if it is not done properly. Conference Objectives are : • Pre-operative diagnostic record requirements • Step-by-step review of all prosthetic protocols from implant uncovering to final insertion of prosthesis • Open versus close tray impression techniques • Implant provisionalization options with fixed versus removable • Screw versus cement retained options • Implant protected occlusal schemes for single tooth to full mouth fixed and removable implant retained prosthesis • Management protocol for parafunctional habits • Implant prosthetic maintenance requirements • Management of implant prosthetic complications • Hands-on will include: Immediate temporization for implants; locator attachments; verification jigs; open/close tray impressions; and screw vs.cement retained Additional details will be posted as soon as they are available. Cannabis Update is organized by University of Calgary - Continuing Medical Education and Professional Development and will be held on Apr 24, 2019 at Red & White Club, Calgary, Alberta, Canada. Who Should Attend: Physicians, Pharmacists, Nurse Practitioners, Registered Nurses, Psychologists, Social Workers, Other Health Professionals, Residents and Trainees Credits: Mainpro+ Group Learning – 7.0 credits | MOC Section 1 – 7.0 hours An accreditation application for this program has been submitted to the Canadian Council on Continuing Education. CCCEP Number for Pharmacists: 1180-2018-2635-C-P, CCCEP Number for Pharmacy Technicians: 1180-2018-2636-C-T Course Overview: This course provides evidence-based information about the pharmacology, methods of ingestion, adverse effects across the lifespan, medical uses of cannabis and effects on driving. Participants will learn about the diagnosis and treatment of medical emergencies involving cannabis and how to screen patients for cannabis use and for cannabis use disorder. Also covered are how to determine whether patients have contraindications for cannabis use and the process for authorizing cannabis for medical purposes in appropriate patients. Course Objectives: At the end of this course, learners will be equipped to: • summarize basic information about the pharmacology, methods of ingestion and adverse effects of cannabis and its analogues • discuss the evidence supporting the use of cannabis for medical purposes • describe the types of cannabis-related medical emergencies and their treatment • discuss the effects of cannabis on driving • discuss the effects of cannabis throughout the life span • counsel patients on cannabis use • screen patients for cannabis use disorder and identify appropriate treatment • discuss Alberta Health Services policies around cannabis use in hospital and homecare settings Additional details will be posted as soon as they are available. 36th Annual Calgary Therapeutics Course is organized by University of Calgary - Continuing Medical Education and Professional Development and will be held from Apr 25 - 26, 2019 at MacEwan Conference & Event Centre, Calgary, Alberta, Canada. Who Should Attend: Family Physicians, Specialist Physicians, Pharmacists, Nurse Practitioners, Other Healthcare Professionals. 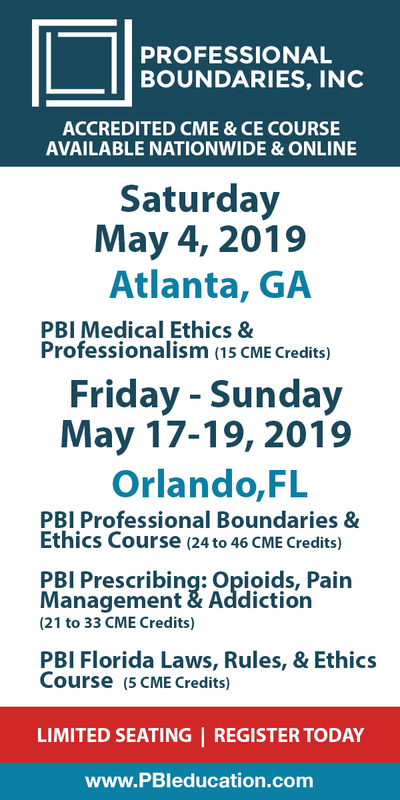 Course Overview: This evidence-based course is designed to introduce family physicians, specialist physicians, pharmacists and nurse practitioners to new medications, new indications for older products and new guidelines for treatment. Current therapeutics controversies are examined and drug and non-drug therapeutic approaches for selected clinical conditions are presented. Course Objectives: At the end of this course, learners will be equipped to: • identify new medications and new indications for “old” products • examine current therapeutic controversies • compare drug and non-drug approaches for selected clinical conditions • discuss the types of evidence used to support the prescribing of one drug instead of another in the same class of drugs Additional details will be posted as soon as they are available. 15th Annual Canadian Endocrine Update (CEU) Scientific Meeting & the 8th Annual Canadian Endocrine Review Course (CERC) is organized by McMaster University, Continuing Health Sciences Education (CHSE) and will be held from Apr 26 - 27, 2019 at Best Western Plus Lamplighter Inn & Conference Centre, London, Ontario, Canada. Additional details will be posted as soon as they are available. Annual Spring Dermatology Review 2019 is organized by University of British Columbia Continuing Professional Development (UBC CPD) and will be held from Apr 26 - 27, 2019 at UBC Robson Square, Vancouver, British Columbia, Canada. The target audience for this medical event is family physicians, dermatologists, allergists & immunologists, registered nurses, residents and students. This CME Conference has been approved for a maximum of 9.0 Points. Conference Description: This one and a half day conference was planned with the Primary Care Physician in mind and will endeavour to provide education in dermatology focusing on practical diagnosis and management. The conference format has been very successful and will continue unchanged with a mixture of 30 minute plenary lectures and small group interactive sessions. The interactive case discussions on the last afternoon are very popular and provide participants the opportunity to share experiences and to question the experts. The conference is the result of collaboration between the UBC Department of Dermatology and Skin Science and the UBC Division of Continuing Professional Development. The speakers are drawn from the teaching faculty of the UBC Department of Dermatology and Community Dermatologists. Additional details will be posted as soon as they are available.